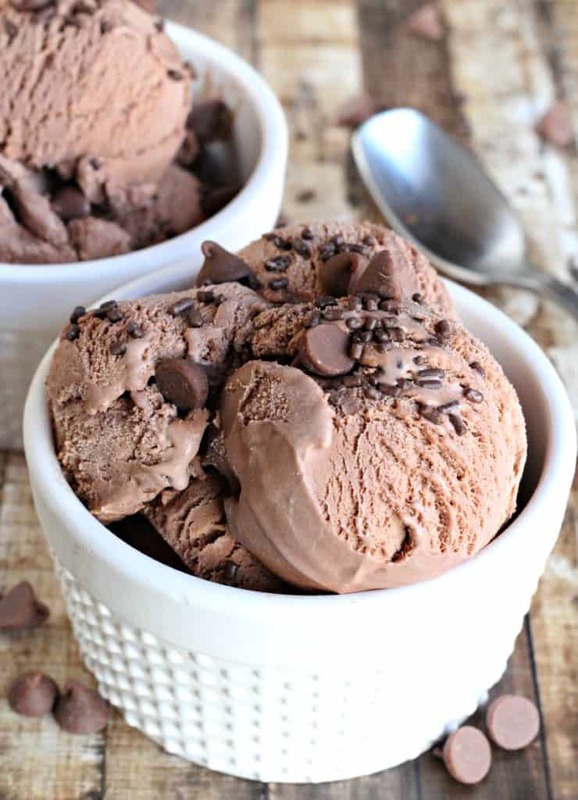 Double Chocolate, dairy-free ice cream, made with only 4 ingredients. A rich chocolate, almond milk ice cream treat for those avoiding dairy. Place bananas, coconut cream, cocoa powder, and almond milk in blender and blend until smooth. Stir in chocolate chips. Pour into a freezer-safe container and freeze until solid. Scoop into bowls, and top with more chocolate chips and sprinkles, enjoy! 0 Response to "double chocolate 4-ingredient (dairy-free) ice cream"